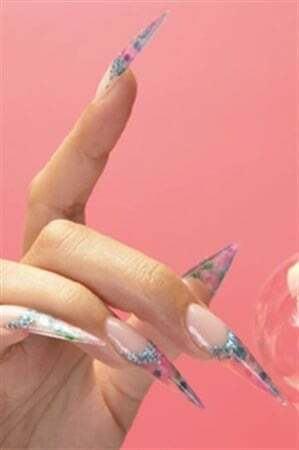 Stiletto nails are almost always made by form-sculpting with acrylics. The form is rolled tight and narrow at the tip to create the very pointed tip (designed to look like a stiletto heel). The nails seen here were done for the April 2010 cover by Akzentz educator Gina Silvesto.